Im interested….. add me to the list……. thx!
. See # Post : Coscar, Wed, 06/20/2018 – 01:13 . /\….. Sounds like an acute case of ‘buyers remorse’. .. ..
Primary Interest List, (main): See Post # 4, Page 1 . I’m 1038, could you put me down for another two please? I need to edit list. NOTE: If I overlooked a post, PLEASE IM me and i’ll edit for correction. I don't think that phrase means what you think it means. a feeling of regret (= a wish that you had not done something) after making a choice or decision. "Buyer's remorse is the sense of regret after having made a purchase." *You actually have to purchase something to feel buyer's remorse. Buying something can be devided into two steps. The deal (intention) and the delivery ((physical) transaction). First step is where parties communicate their intentions (coming to a deal – offering something – paying for it). Second step is actually delivering the item. In the Netherlands the deal is annuled when one of the parties is unable to fulfill his/her obligation to deliver. This can imply you have to pay for the actions that were already set in motion. That’s what I have been told, about a century ago. But feel free to think otherwise (other legal system?). I don’t think that phrase means what you think it means. Close enough….. . . . . In this case the decision & declaration was made to be put on the list to buy one. It seems the remorse just reared it’s ugly head before the money changed hands. Maybe a technicality in some eyes… but the outcome is the same. I think Henk4U2’s definition below sums it up nicely in fact……. .
Buyer’s remorse is often referred to as the reason for cooldown clauses in purchases, where you have 24 or 48 hours to cancel a deal without penalty regardless of whether or not a payment, delivery, or signature has been obtained. The act of buying is not the defining moment, it is the decision to commit that is the turning point, after which second thoughts can creep in. The enthusiasm leading up to the point of commitment is a separate thought process to the hindsight afterwards, either one can be a distorion of reality since different emotions are brought into the picture. Hmmm….more likely it is self preservation, his wife will end his life if he buys another flashlight! Please add me to the interest list, for one light. Thanks! Certainly no explanation necessary, because like you said… you were definitely not locked in. And you at least had the forethought to remove your name from the list. It just struck me as comical…. no foul meant. In fact… I was a bit envious of your restraint. It seems I rarely, if ever; get ‘buyers remorse’ before or after a purchase. That is not necessarily a good thing either……. …. What are people’s thoughts on the FW3A’s surface finish? Grey: Another option is to do a more traditional dark grey ano, which would look nice and be more scratch-resistant, though scratches would be more visible if they happened, since silver stands out on a grey background. The finish would be like the BLF GT or Lumintop’s other anodized lights, but dark grey instead of black. 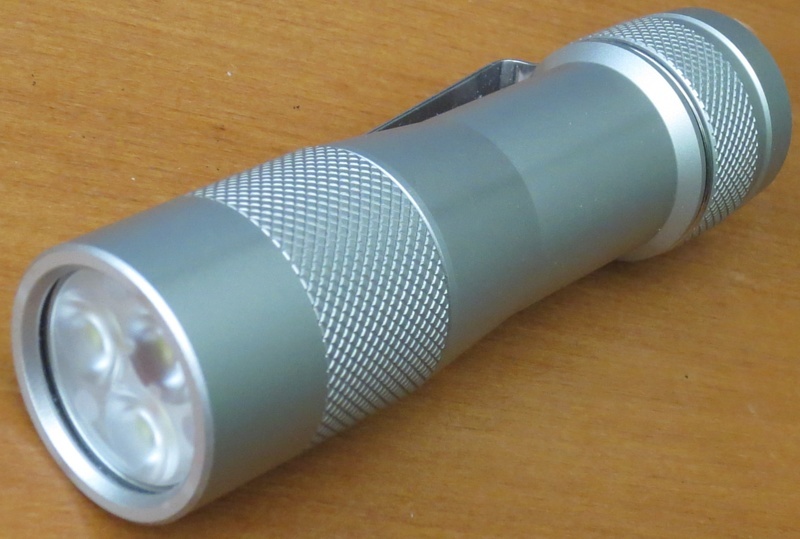 Perhaps similar to the grey Emisar D4. Not much help but I like all three versions. Sounds like a very nice light. Sign me up for one light! Keep your nose in the wind and your eyes along the skyline. I don’t much care for the bead blasted look. It would be a toss up between dark grey and bare for me. I like the milled horizontal lines on the BLF light pictured above but I’d bet that a bunch of people wouldn’t care for the “unfinished” look. A dark grey would be a nice change over traditional black. I love my Zebralight, although I wonder how many people involved with this thread would want immediate comparisons. Standing out in its own way might be better than appearing to be a knock-off. Maybe people don’t think that way but I’d like this to be a bit more of an individual. Also if there are going to be other materials in the future, an unfinished look would be shared between the different materials which would be pretty cool. I like most anything except bare Aluminum. PocketSammich wrote: I don’t need this, but I want it. Please sign me up. Fritz designed this light (as far as I know), let him decide the finish & the rest of us can just deal with it if it happens to not be our particular preference. I don’t like the seams, those would really annoy me. Bare /clear would be acceptable. Not too keen on a fake silver shade. I liked the original intention to try and show the work put into it, and it seems as if the best way to reflect that intention is to leave it mostly bare or maybe polished from bare. In another light, the anodization lets you do mechanical lockout by breaking the connection. Here, would this do the same thing regardless of anodization by keeping the inner tube from reaching far enough? If so, I think that would make a good case for leaving it bare or maybe seeing if they can polish it. Of course most but presumably not all of us may be willing to polish it ourselves, so long as it was just to make it shinier and not because of stains. I think it’s too easy to make the clear anodization look cheap, and not all of the prototype versions looked that good, but it might be alright. The seams were different version of the clear process, not accidents, right? 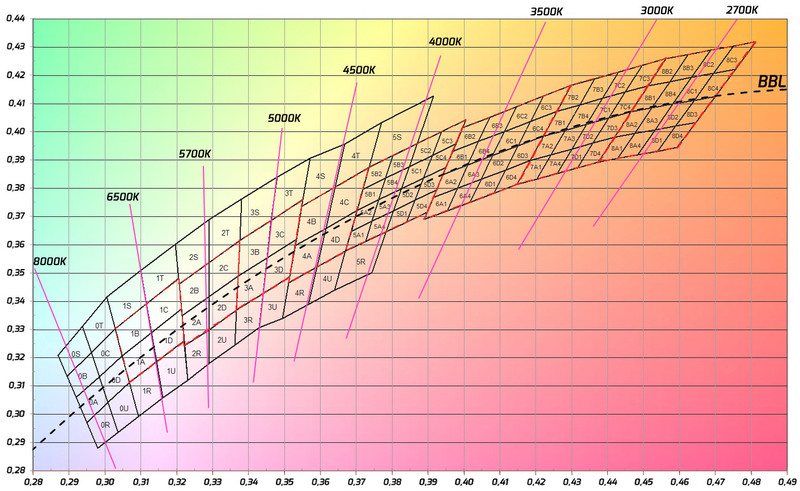 I have the gray d4; it’s not bad but it’s not the look this was originally going for. I think bare makes sense. I don’t understand why there are seams 90° apart. In another light, the anodization lets you do mechanical lockout by breaking the connection. Here, would this do the same thing regardless of anodization by keeping the inner tube from reaching far enough? In the FW3A, current travels through the outer tube, the threads, and the driver retaining ring. Loosening the body from the head does not break the flow of power. However, it does break the connection to the switch, so it can’t be turned on/off when loose. None of that depends on being anodized. The anodizing is a purely aesthetic feature on the FW3A, and not relevant for physical lockout. Plus, the soft lockout is quicker, only takes one hand, and is probably more effective. TBH, I don’t know either. Both prototypes had it, but it’s a lot more noticeable on proto2. However, I’ve heard that it took Convoy a while to get the clear anodizing right, and even then, it seems to be so thin that it can still conduct electricity sometimes. On my clear C8, I can measure electrical contact between a bunch of different places on the outer surface of the light. I agree. No need to stretch this out even more. So you can lock both on and off; which seems fine. Yeah, I thought the anodizing didn’t matter, thanks for confirming. Means that’s not a disadvantage of bare. Just an FYI: the above only applies to lights that don’t have a PC board that the spring is soldered to. The PCB is isolated from the tail cap and completes the circuit between the negative terminal and the main body by making contact with the unanodized end of the battery tube.